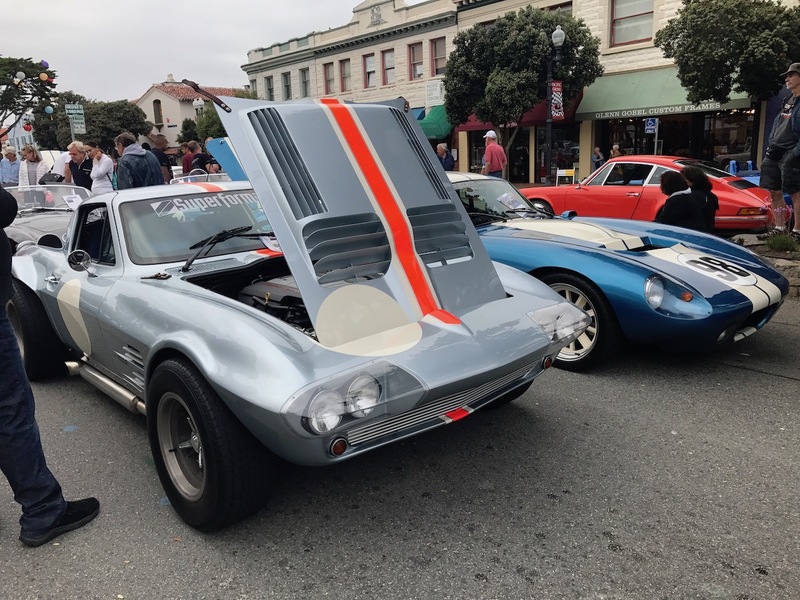 Petrol heads from around the world descend on the Monterey Peninsula every year to take part in one of the greatest automotive gatherings in California. Its a week full of events, rallies, forums, and car auctions. 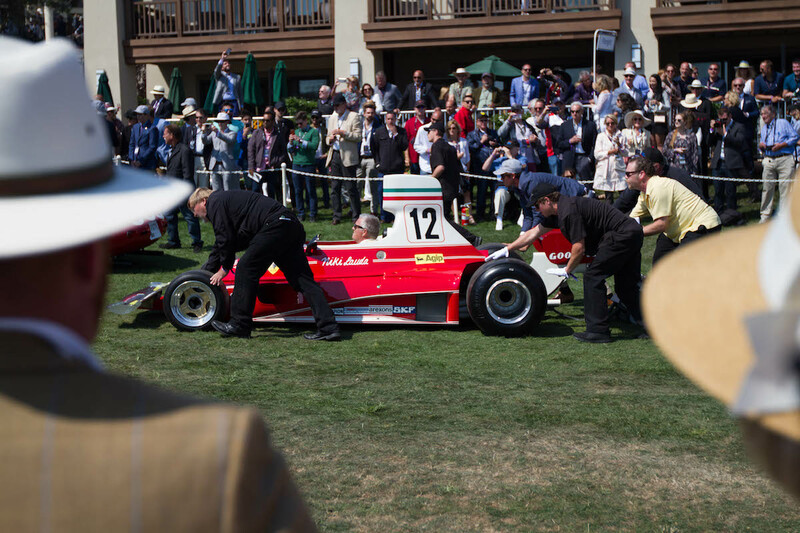 Then to finish things off, you have the world famous Pebble Beach Concours d'Elegance. We spent a week attending the events to bring you the best coverage we can. 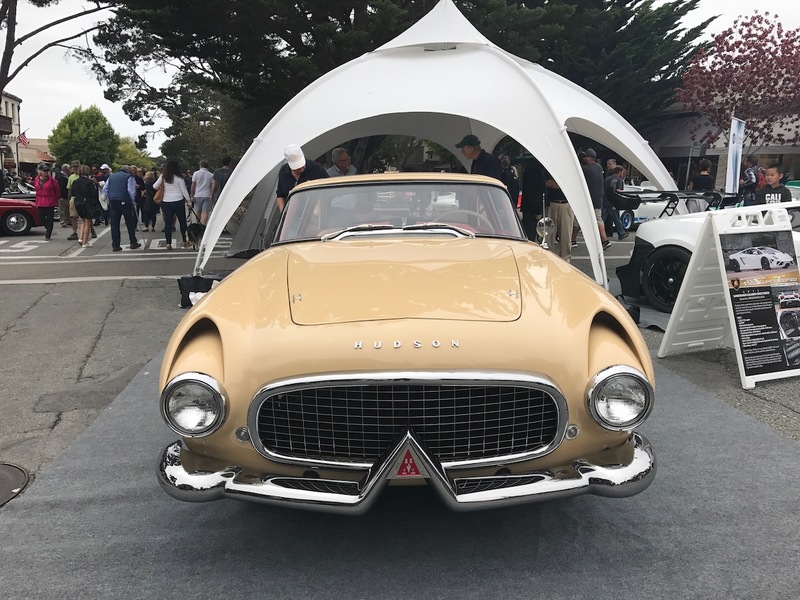 Here's a run down of what took place during the 2017 Monterey Car Week. 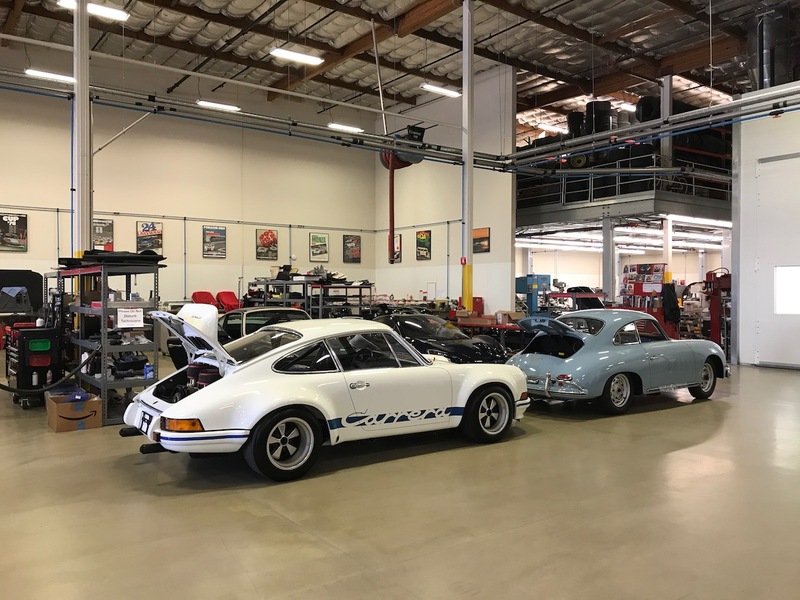 To kick things off, Bruce Canepa opens the doors to his dealership in Scotts Valley and allows anyone to stop by to take a look at his cars. Before you even set foot inside, you are greeting by a parking lot full of interesting cars brought by enthusiasts visiting the shop. 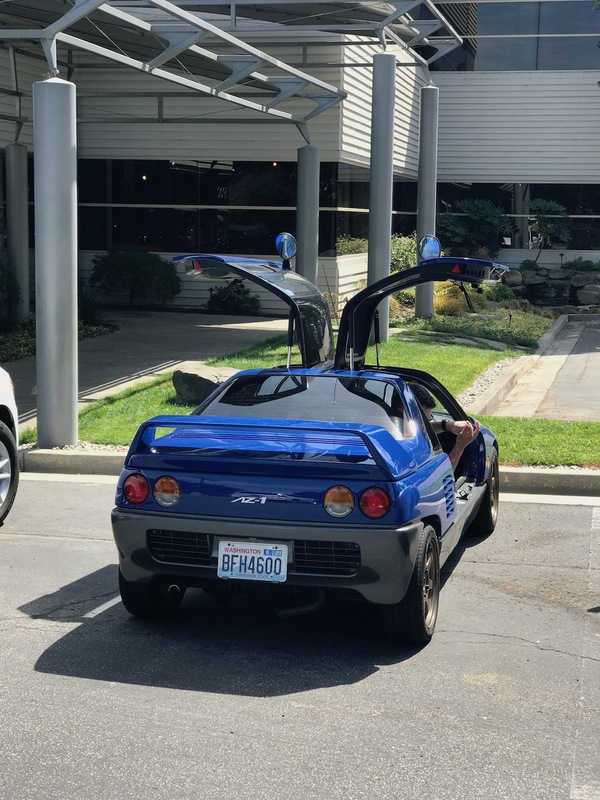 A Mazda Autozam AZ-1 was casually parked outside of Canepa. 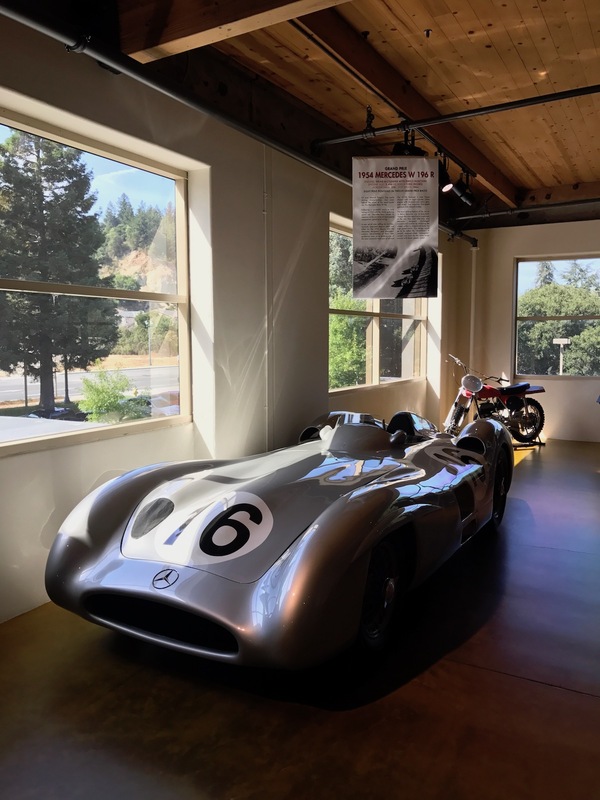 After gazing at the parked cars, it was time to set foot inside Canepa. 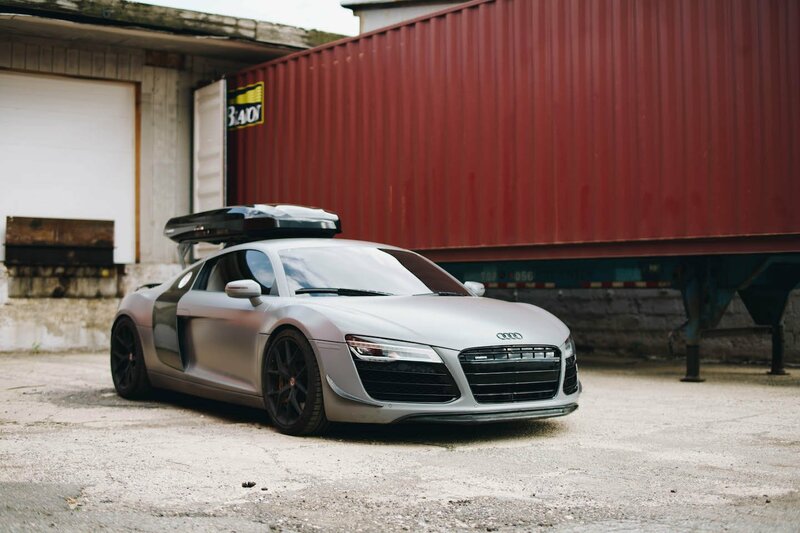 Immediately you're impressed with the wide selection of cars on sale. 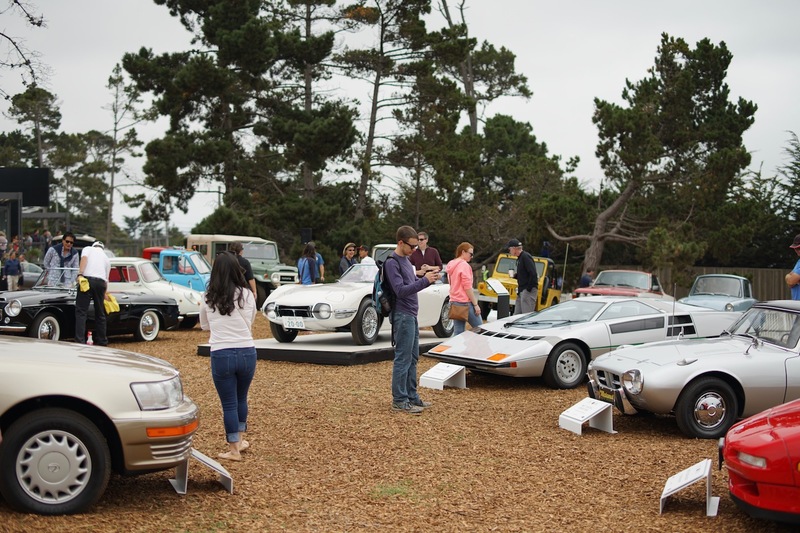 Porsches, Mercedes, Triumphs, and even a BMW M1. 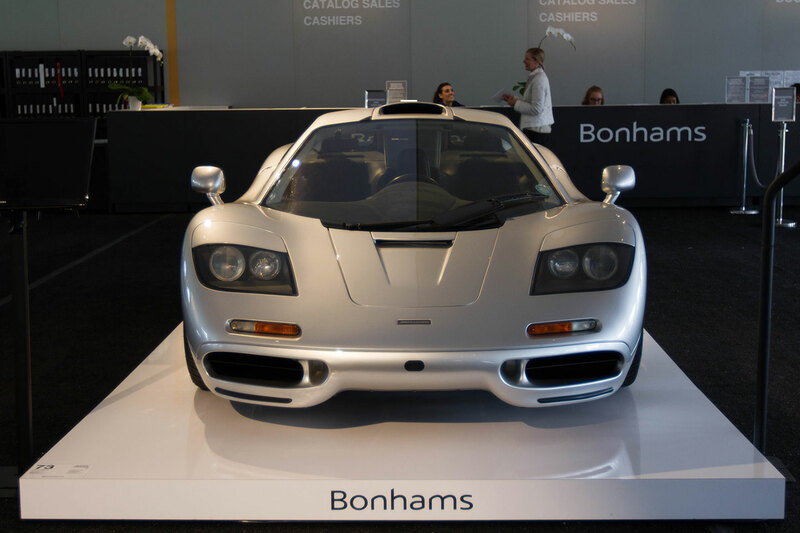 But what's more impressive is whats happening behind the scenes at Canepa. 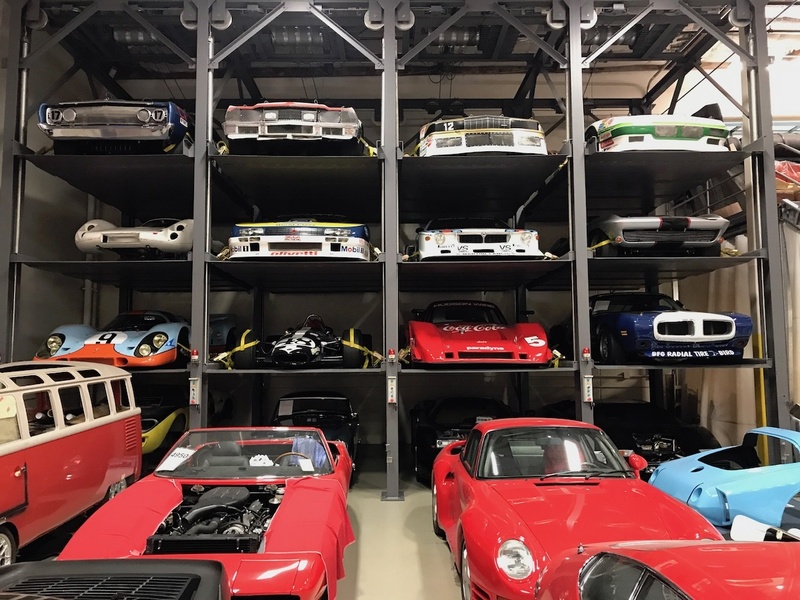 Their shop is responsible for the upkeep of dozens of cars, including vintage LeMans race cars. When heading for the exit we nearly missed the upstairs section which is Bruce Canepa's personal collection. Here you find Fangio's Mercedes 300 SLR, the 24 Hours of Daytona winning Porsche 917K, and at least 30 more interesting race cars. 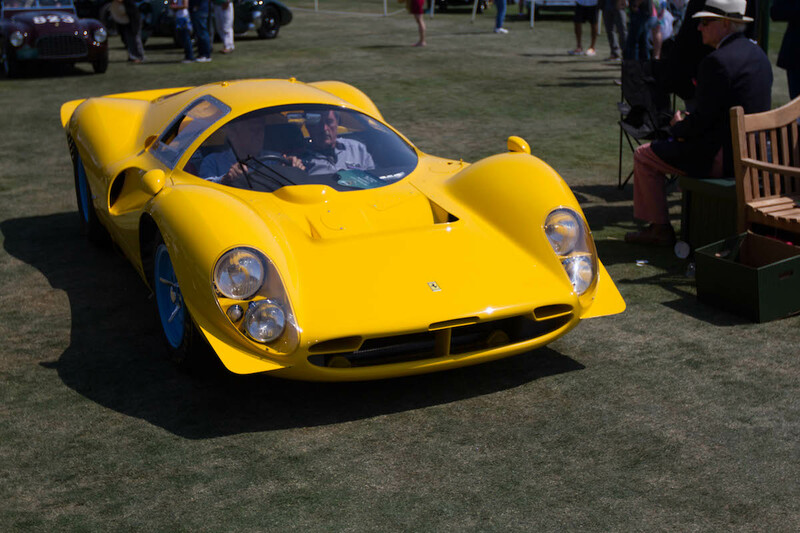 The Concours on the avenue had some of the widest range of cars at one event. 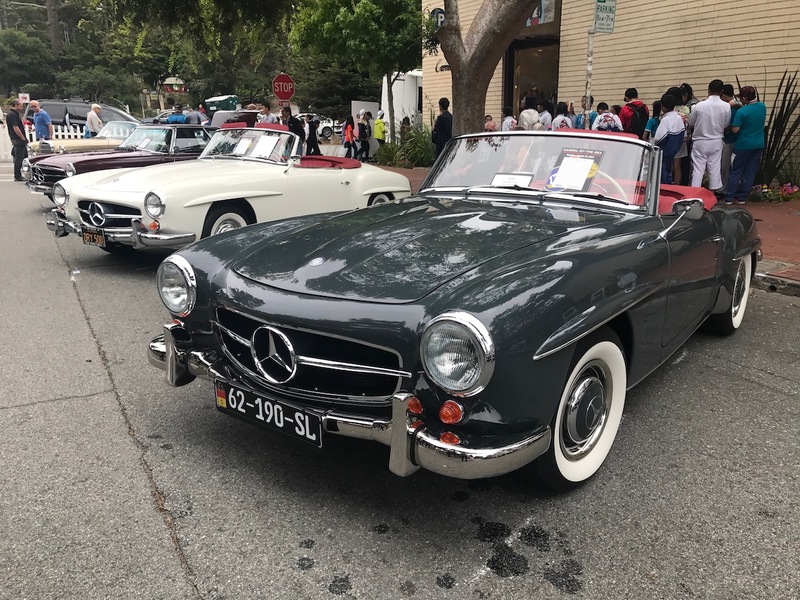 Hundreds of classic cars line the streets of Carmel during this free event. 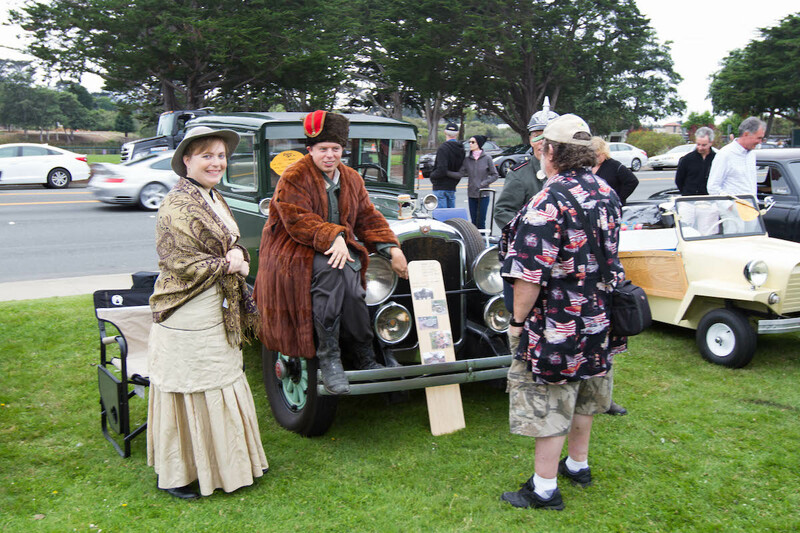 Enthusiastic classic car owners and dealers display a wide selection of cars which include pre-war cars, race cars, hotrods (with 4 numerous engines! ), and just about every variant of Porsche you can think of. You can stick around towards the award session to hear the cars start up and drive on the podium. We highly recommend you do! Taking place in Monterey, we caught this show towards the end when most cars were leaving. 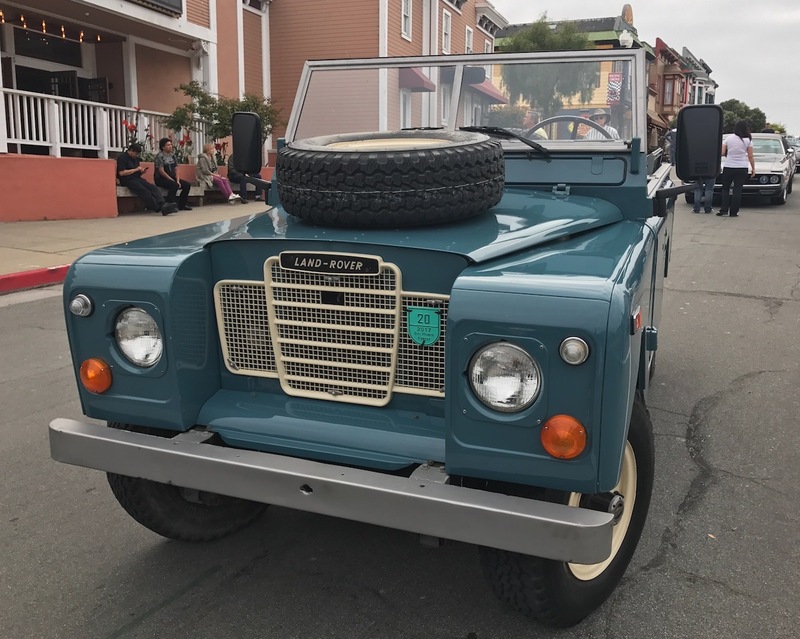 We still had a chance to check out a Lotus, Stingray, Pantera, and even a Land Rover Defender. 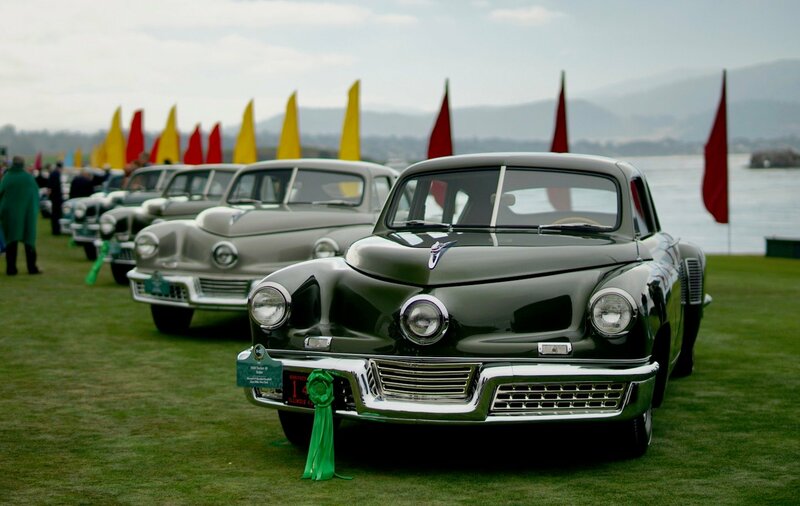 While similar to Concours on the Avenue this show was more laid back and without any awards given. 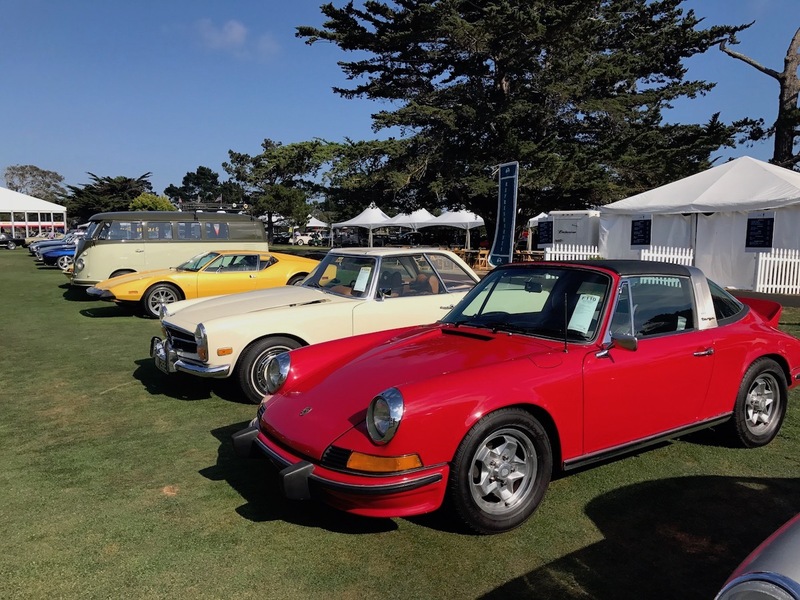 Run by the Porsche Club of America, the Werks Reunion gathering brought together Porsche owners and their rides to the Corral de Tierra Country Club near Monterey. 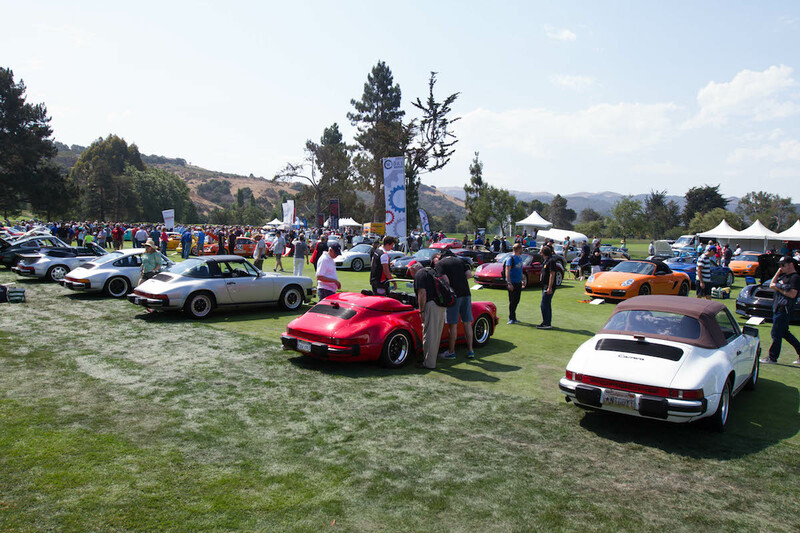 Parked on the golf course were thousands of Porsches of all types and ages. 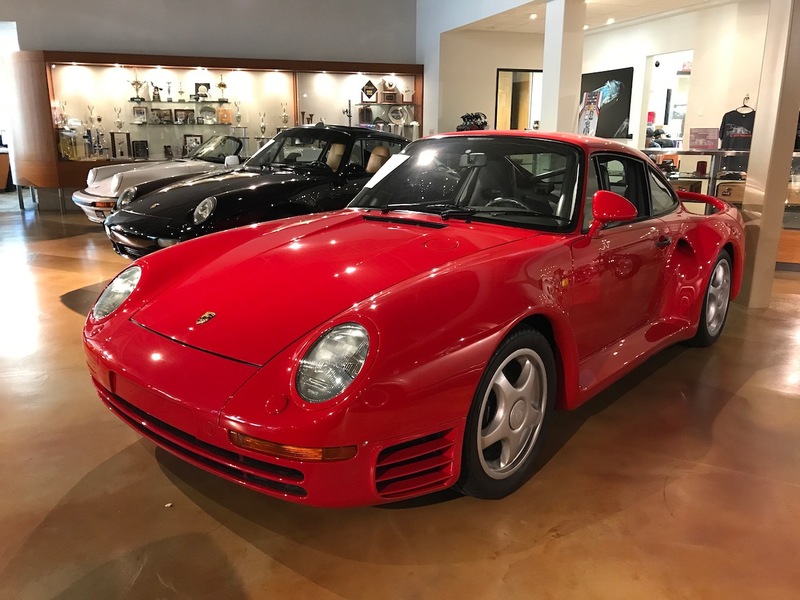 Here you could find anything from early unmolested 356s to outlawed 911s, and modern GT3s. Like many of these shows, judges roam the field rating and discussing each car. 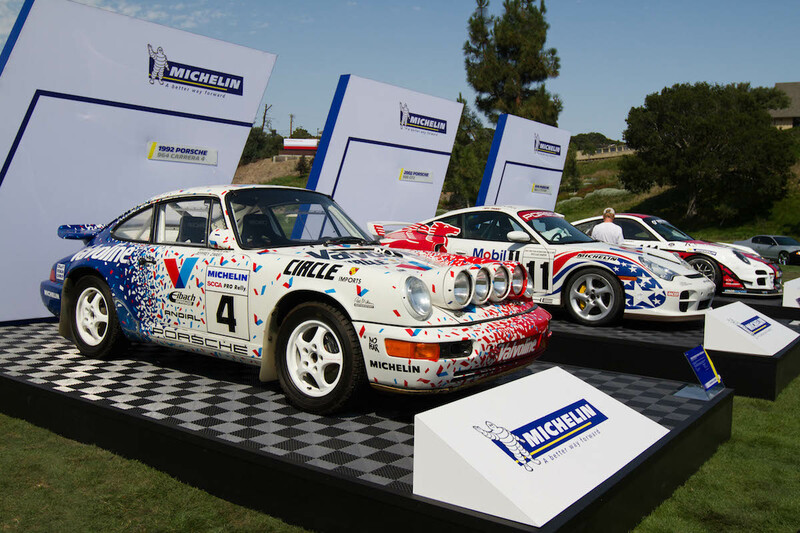 At the end awards are given only to a select few who have special Porsches. 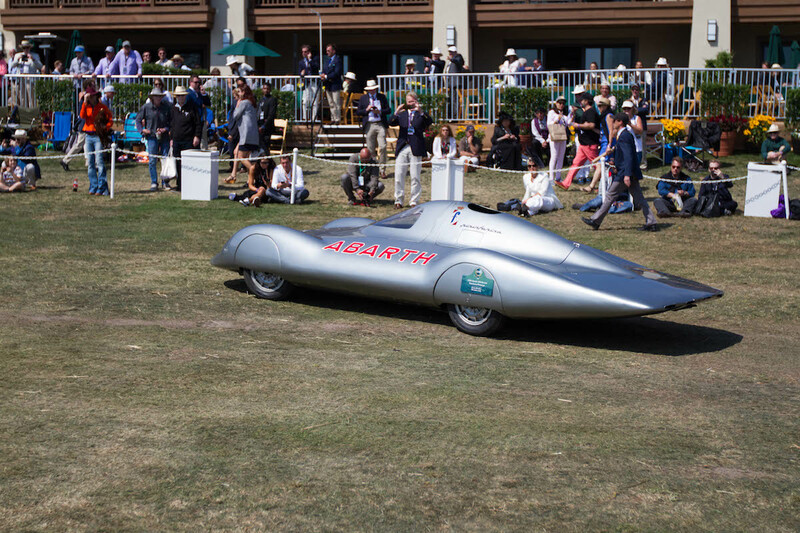 Porsche wasn't the only German automaker to have a presence during Monterey Car Week. 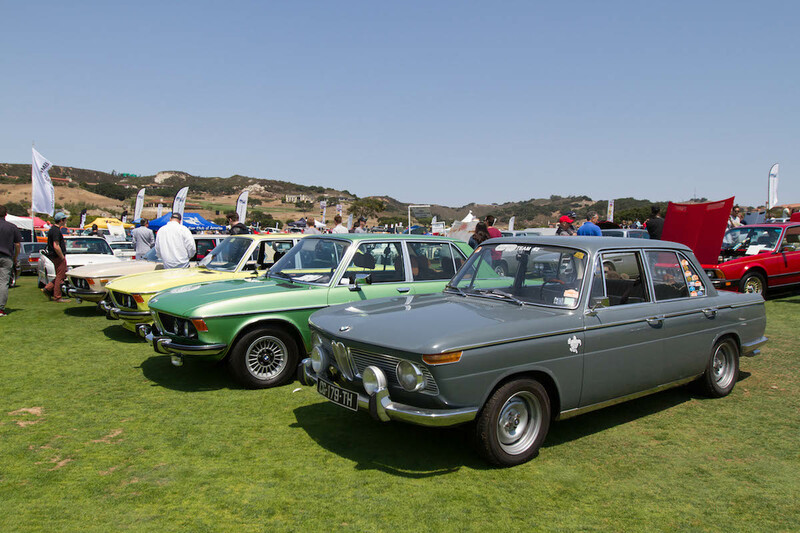 The Legends of the Autobahn was the show for BMW, Mercedes, and Audi owners to show off their cars. 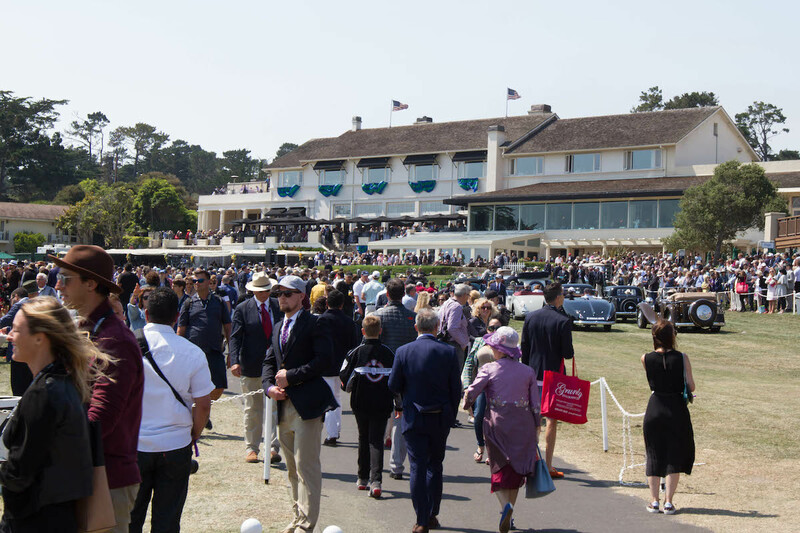 And because it also takes place on a golf course, navigating the narrow golf cart paths with curbs on both sides quickly turned into a nerve wrecking drive. However it was well worth it. 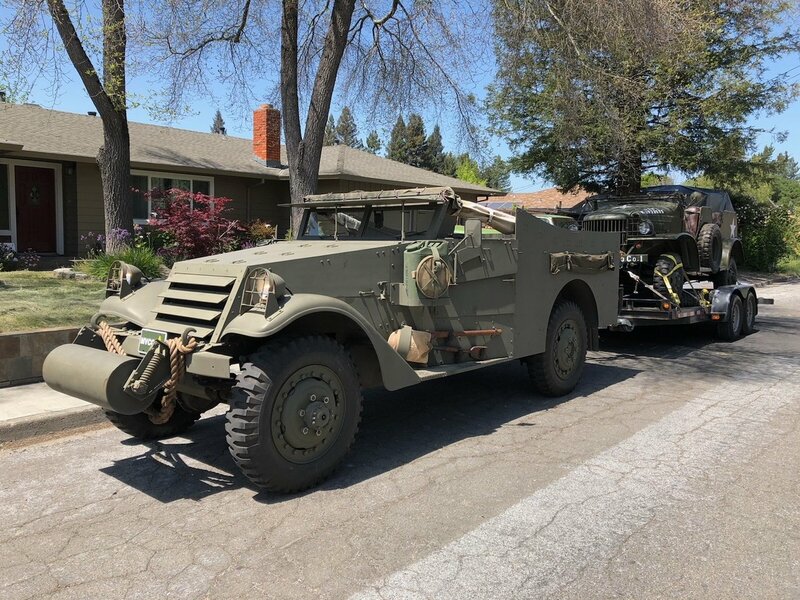 Hundreds of interesting cars to find here. Including a few classics imported to California by yours truly. 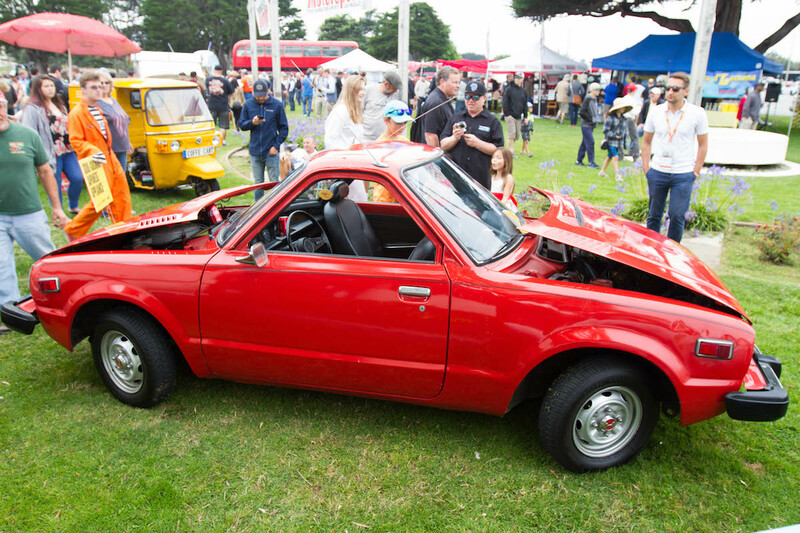 Perhaps one of our favorite shows from Monterey car week this year was Concours d'Lemons. 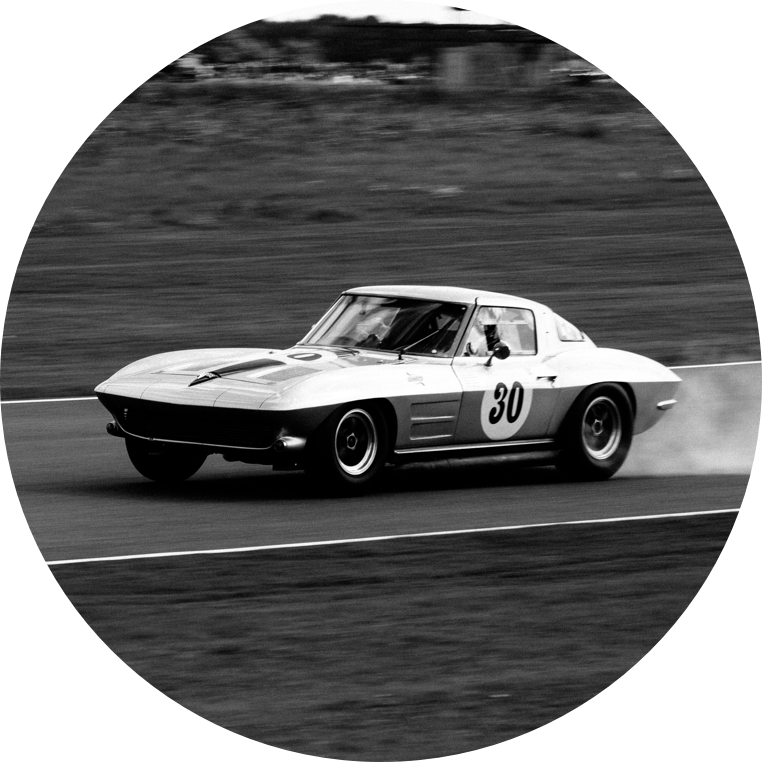 Full of interesting "lemon" cars of varying themes and purposes. 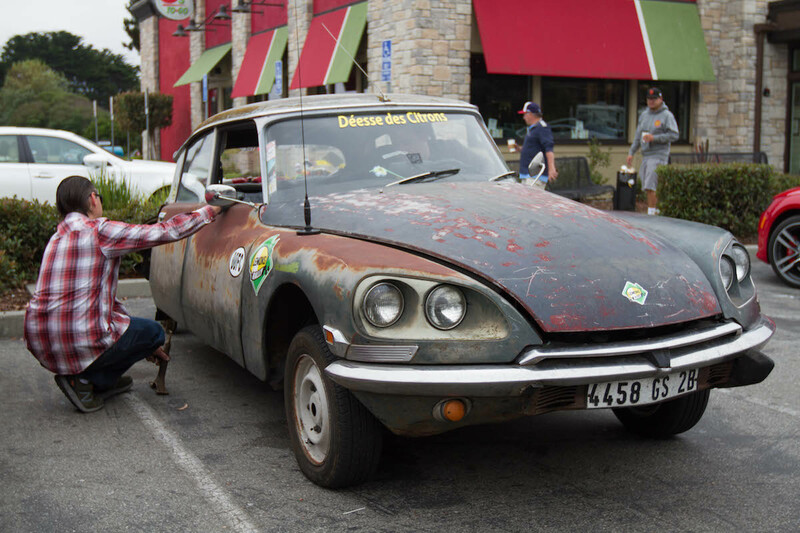 If you're not familiar with the lemon cars, these are cars in varying states of decay, which are modified by their owners in fun and creative ways. 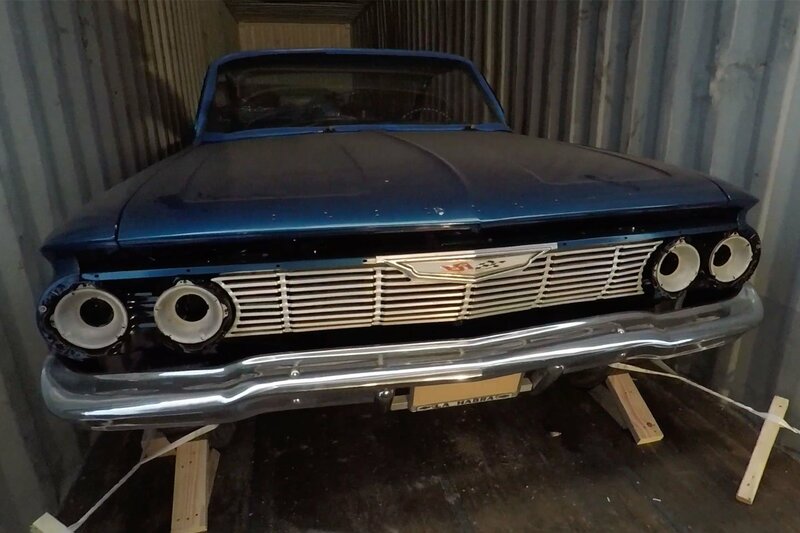 This is not a show for those that want to see million dollar classics in pristine condition. This is a show where you can kick back, talk to the owners and drink a beer or two while eating a hot dog. Some of the notable cars here are the Muntz brought by the Petersen Museum, and a 1979 Civic with two engines, two steering wheels, and two seats facing in the opposite direction. 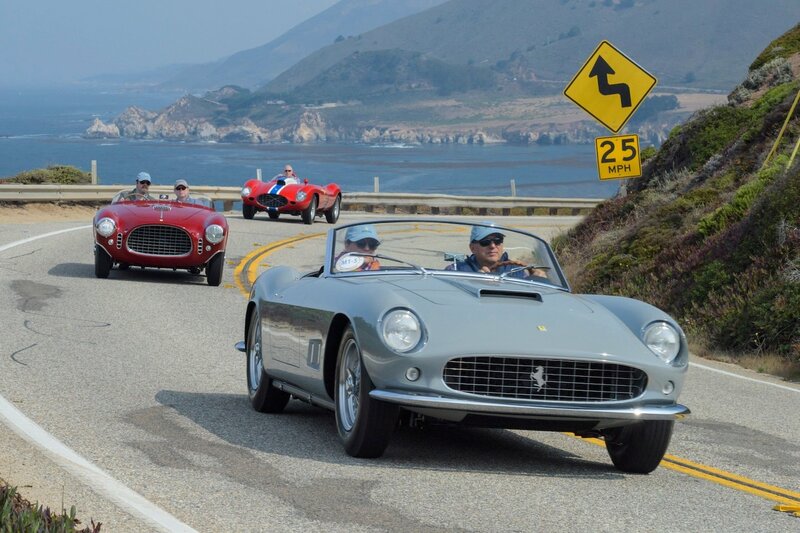 It was easy to lose track of the number of parties during Monterey Car Week. 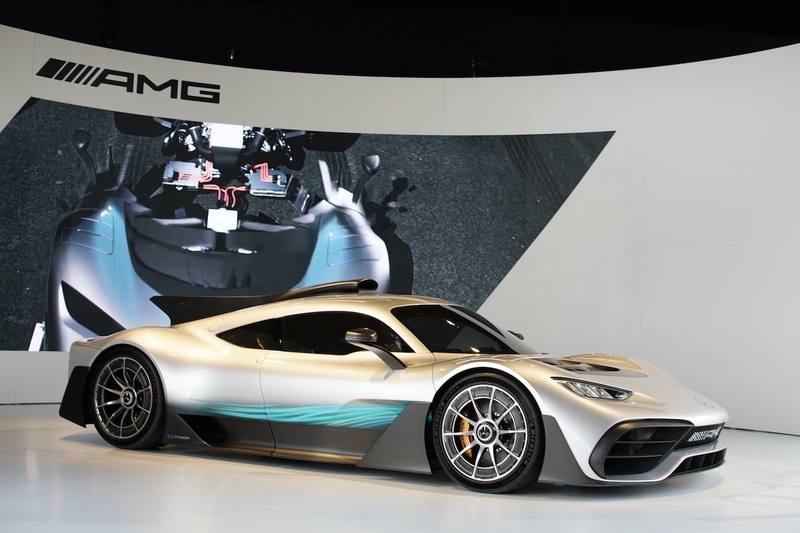 Manufacturers including Bentley, Bugatti, Rolls-Royce, Ferrari, Lamborghini, Mercedes and Singer rented villas and threw gallas to show off exclusive upcoming models. 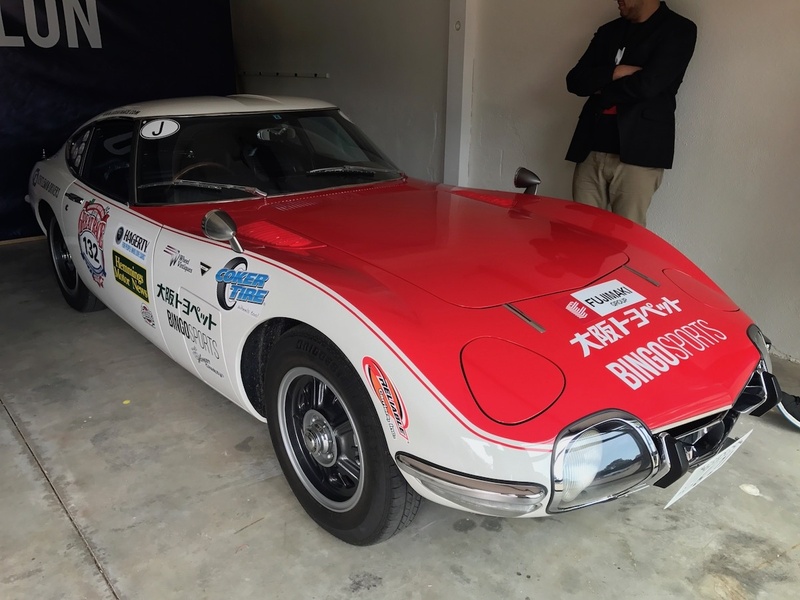 Bingo Motorsports, a classic and exotic dealership out of Japan also rented a villa and had their own Toyota 2000GT on display. 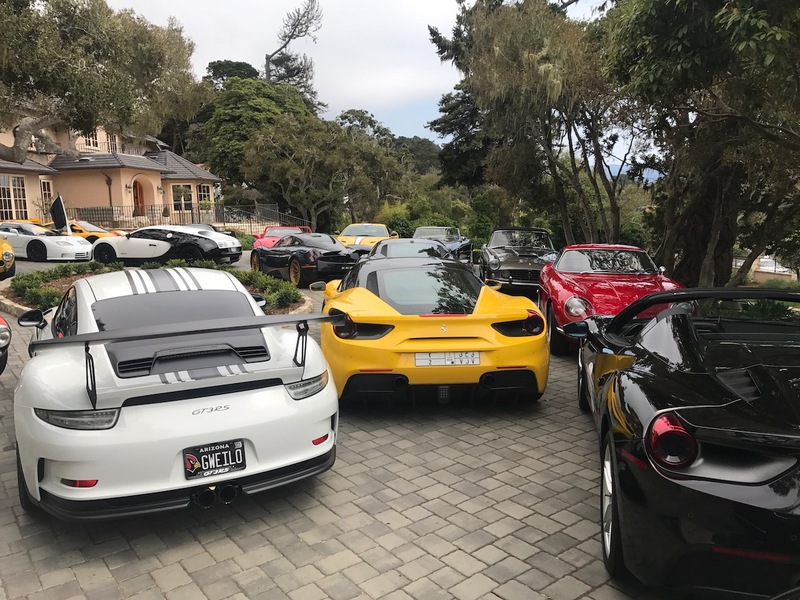 Plus there was this home which always had a driveway full of dozens of exotics. 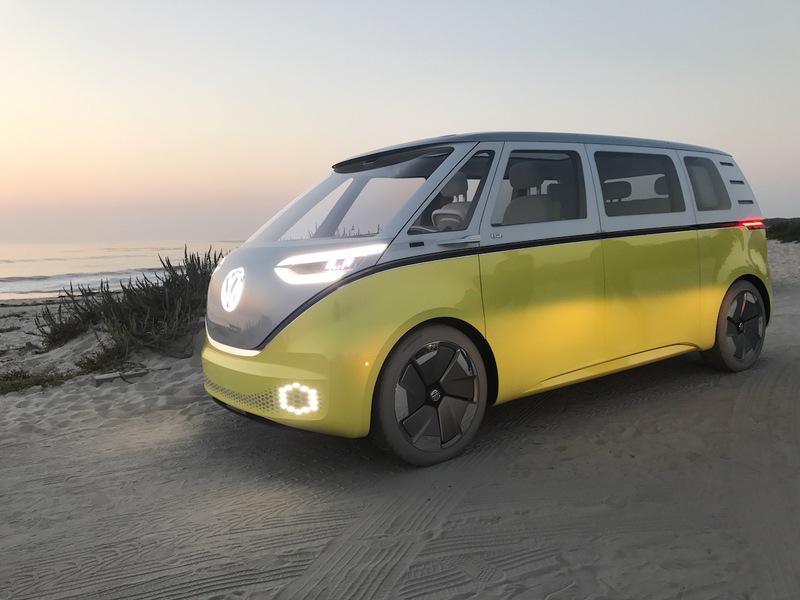 And there was the VW's future Bus the ID Concept casually driving along 17 mile drive. 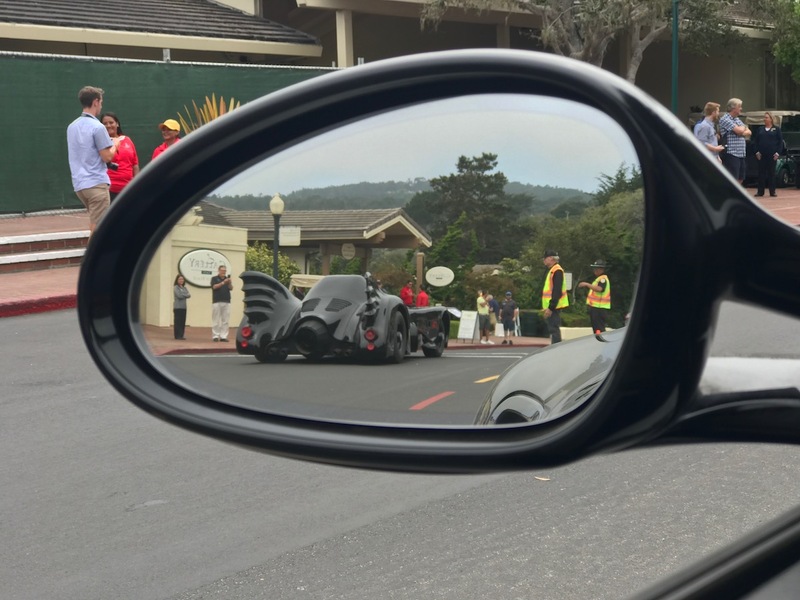 Then there was a fully functional batmobile. 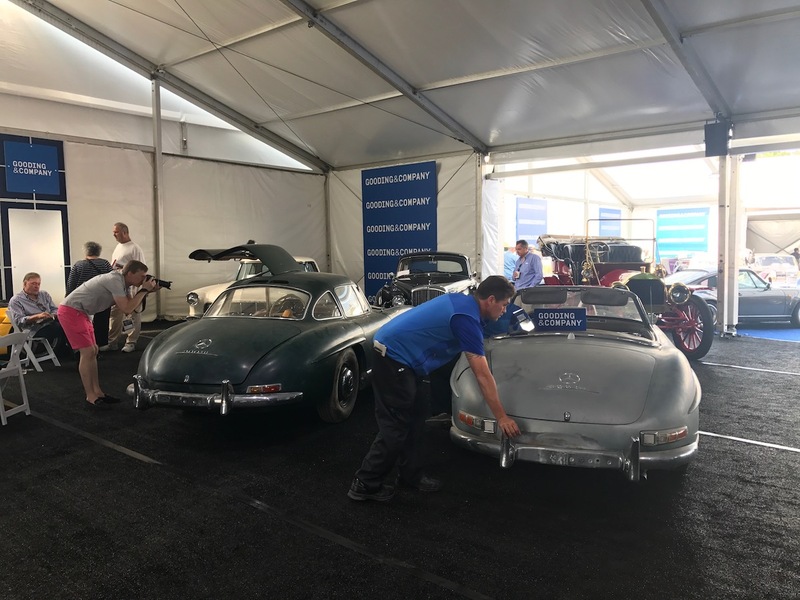 Monterey car week was not always known for its car auctions, but during the last few years many in the classic car industry have looked to these very auctions for guidance as to where the market is heading. 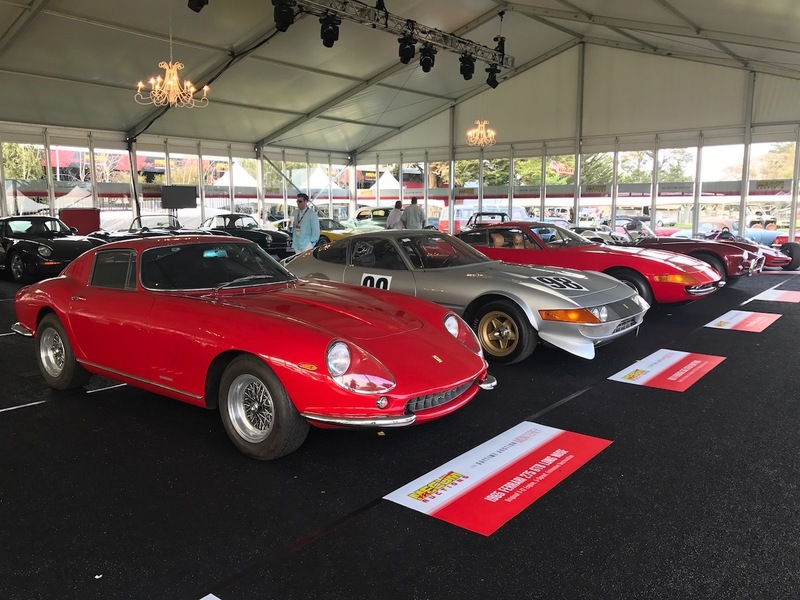 Total sales for the 2017 Monterey car auctions came in at $327 million, below the record $403 million set in 2015. However, sales continue to happen off the block. Expect totals to grow and possibly surpass last year's numbers. 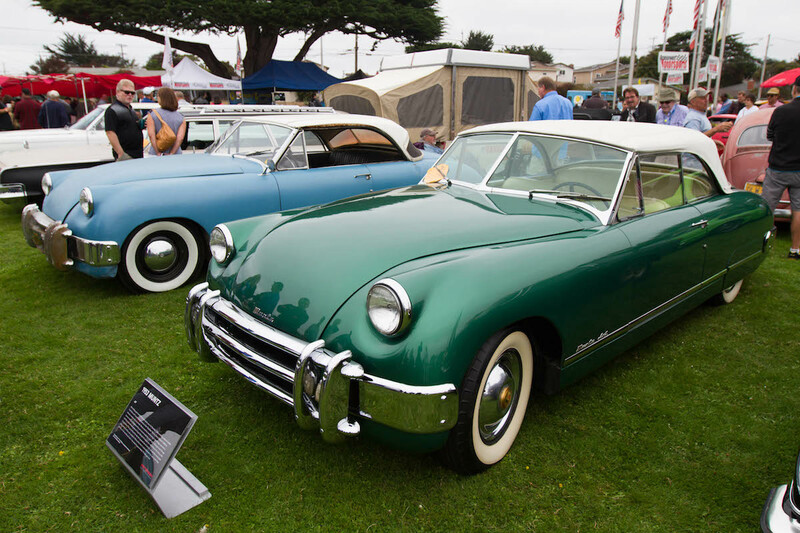 Cars with rich history continued to attract crowds and demand top dollar. 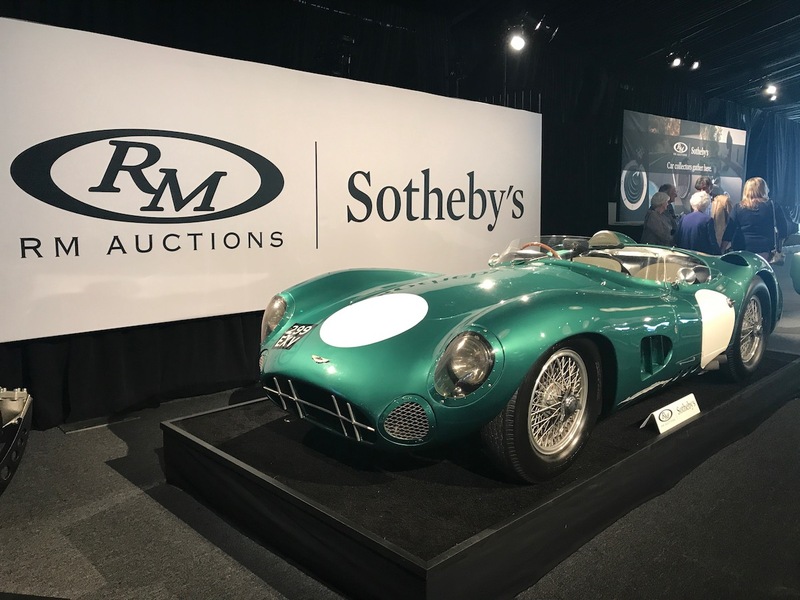 The 1956 Aston Martin DBR1 Roadster sold for a record $22.55 million, making it the most expensive British car sold at auction. 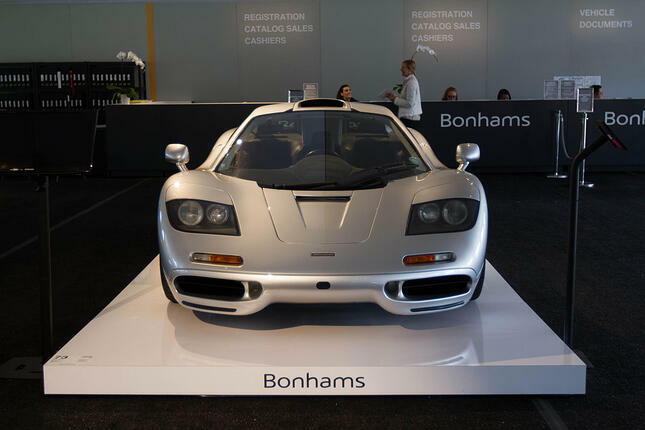 A 1995 McLaren F1 previously owned by Herb Chambers sold for $15.6 million. 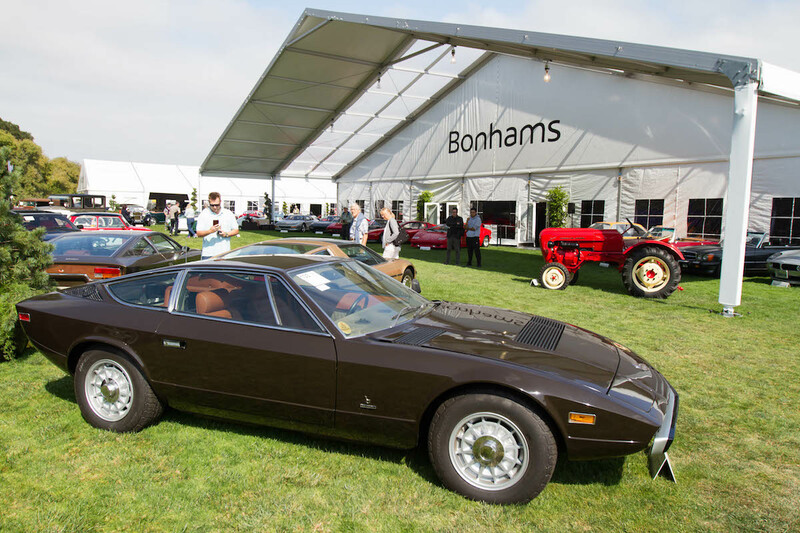 Entry to mid level classics sold well, with those without reserve selling above the low estimates. And their were a few deals to be had. A 2011 Porsche 997 GT3 RS 4.0 valued at $525,000 - $575,000 sold at Gooding for a low $407,000 including buyers premium. Mecum sold a 1987 Porsche 911 Carrera Cabriolet for $53,900 when it was originally estimated to go for $70,000 - $80,000. 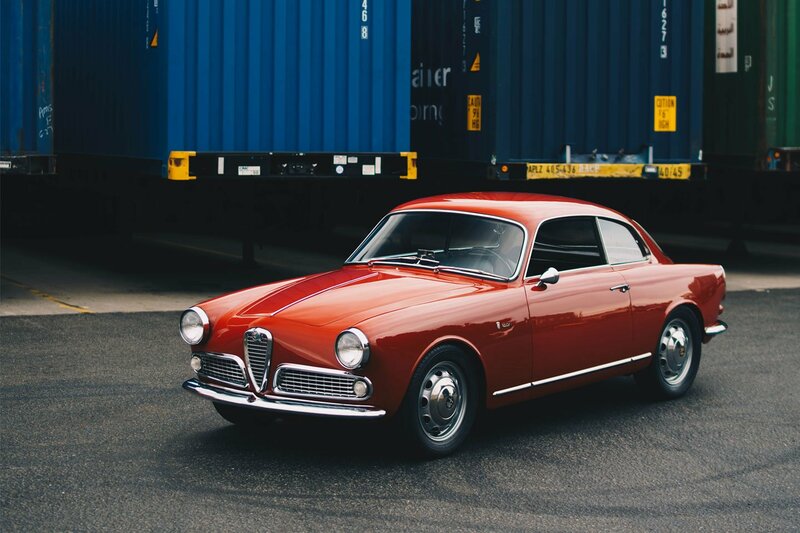 What's more exciting than seeing incredible classic cars pack the streets? Seeing them race! 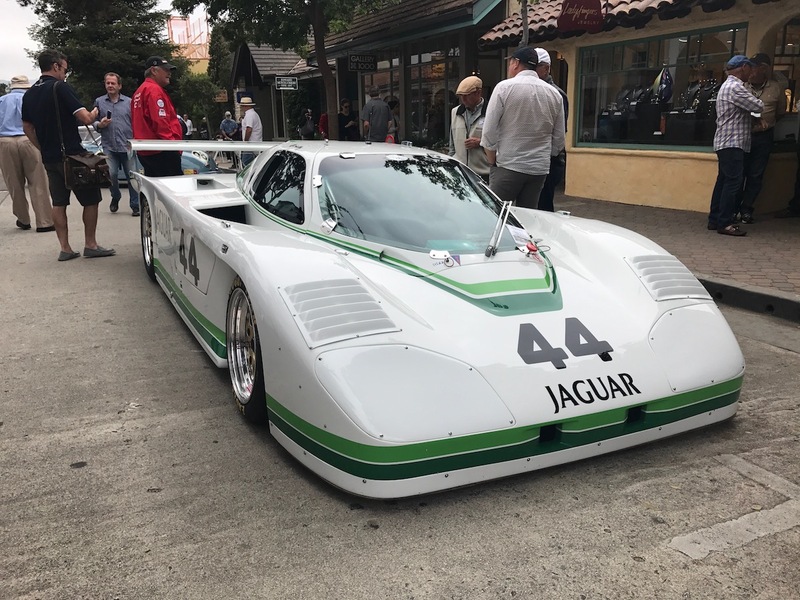 The Motorsports Reunion event held at Laguna Seca each year packs the pit lanes with hundreds of vintage race cars of all types. 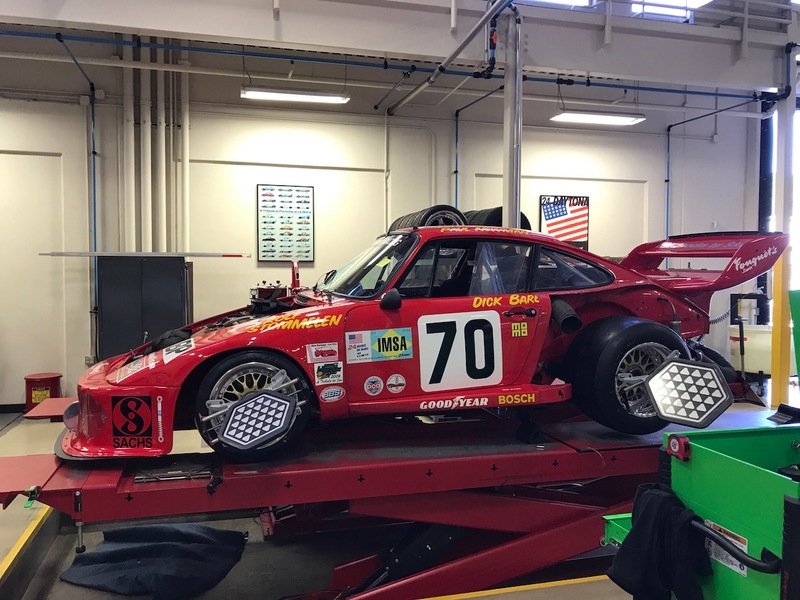 Bruce Canepa took 1st place in a 1979 Porsche 935 in one of the groups. 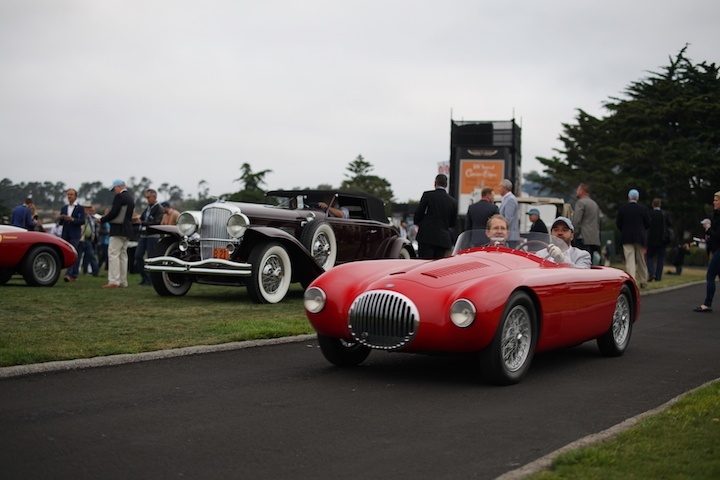 Those that attend Monterey Car Week ultimately finish off the week with the Concours d'Elegance. 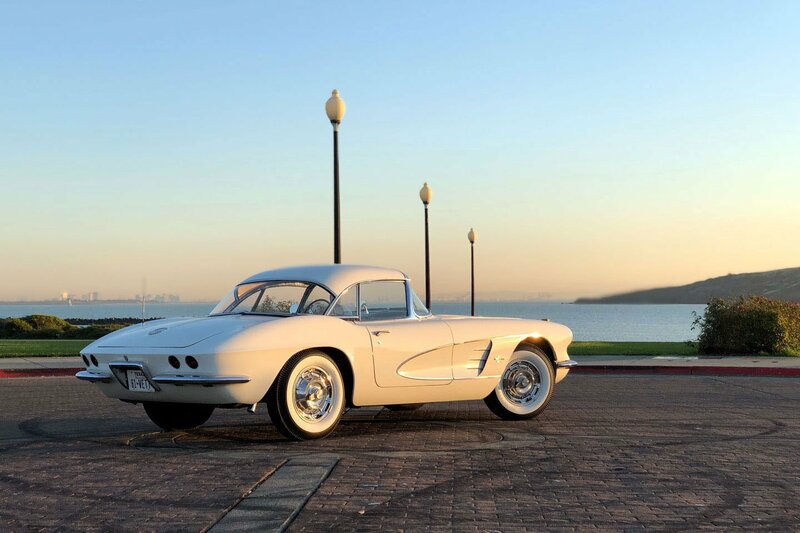 This is one of the main attractions that ends in a televised awards ceremony that selects some of the best classic cars from around the world. 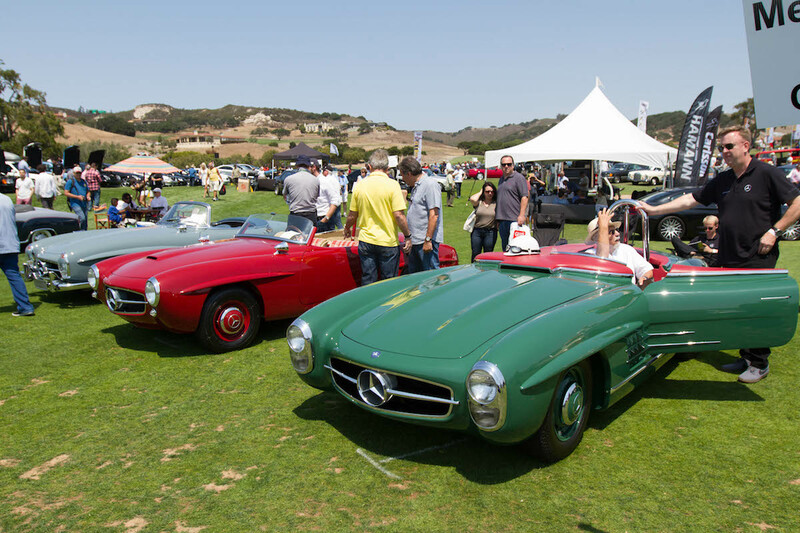 This year, there were 204 cars from 15 countries in attendance. 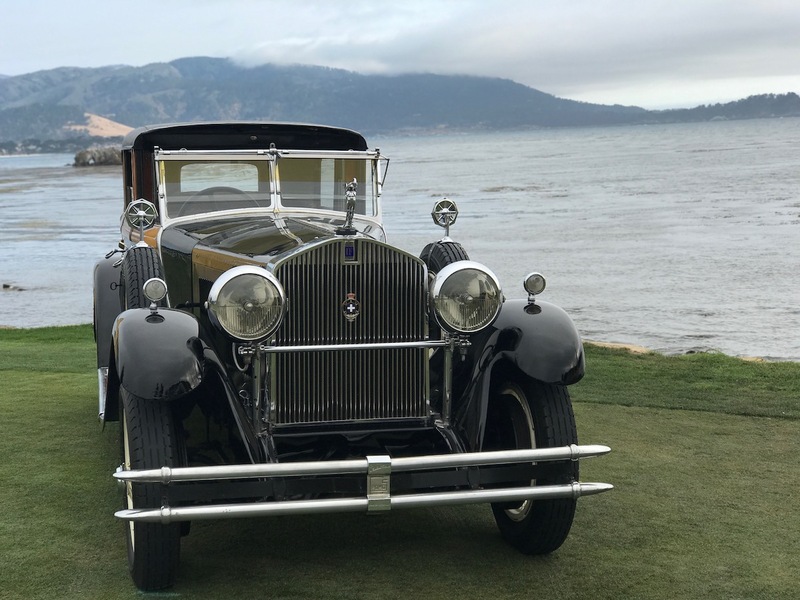 The car that took home best of show was the 1929 Mercedes­Benz S Barker Tourer. 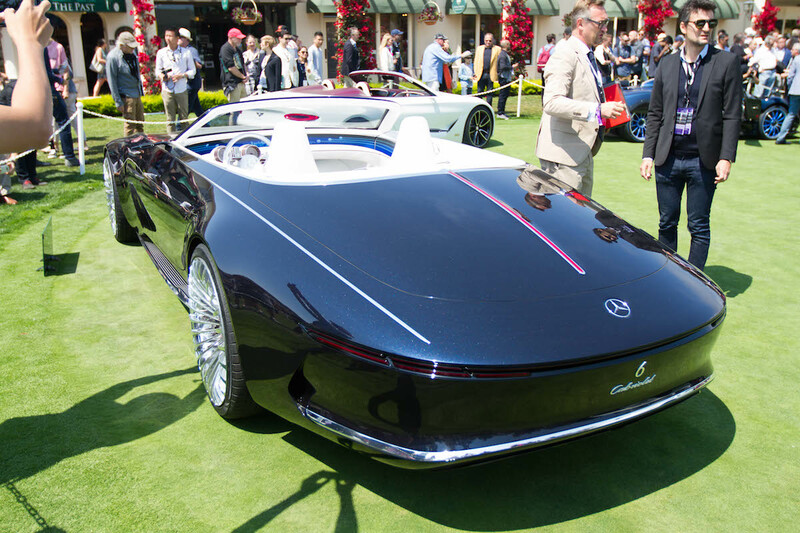 The Concours also host a number of futuristic concepts on this concept lawn. 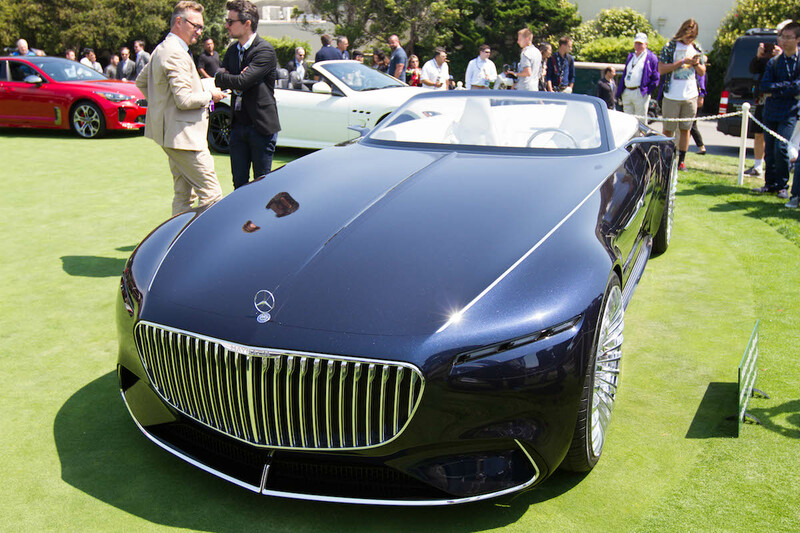 The standout this year was the Mercedes-Maybach 6 Cabriolet.